HAWTHORNE, Calif.—Across the cavernous rocket factory, the buzz, whirr, and whine of various machinery never ebbed. 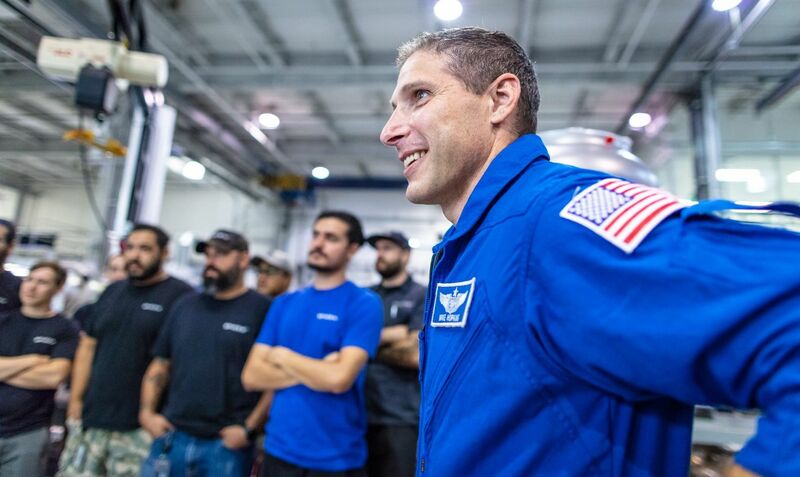 Even when the president of SpaceX and four blue-suited astronauts strode confidently onto the factory floor Monday afternoon and took up microphones to address several dozen reporters, the incessant work inside the SpaceX Falcon 9 hatchery continued. On one side of the factory, technicians produced rolls of carbon fiber and built myriad payload fairings, which cannot yet be reused during a launch. To meet its cadence of a launch every other week, SpaceX must build at least two of these each month. Another section of the factory fabricated the Merlin 1-D rocket engines that power the Falcon 9 rocket’s first stage. And in another large white room behind glass, several Dragon spacecraft were in various states of completion. So when Gwynne Shotwell stopped in front of this Dragon clean room, held a microphone aloft, and welcomed her “extraordinary” astronaut guests to the factory, the noise did not abate. Rather, it seemed to crescendo as Shotwell raised her voice to introduce the crew of SpaceX’s first human mission, NASA astronauts Doug Hurley and Bob Behnken. Likewise, the din continued as she welcomed Mike Hopkins and Victor Glover, crew members for the second flight of the Dragon spacecraft. Read the original at Ars Technica. Are Robocar Teams Doing “Safety Theater” Or Acceptable Risk? Samsung's Folding Screens Break But Huawei's Issues Could Be Just As Bad.